Road Science emulsion additives are designed to elevate key aspects of end-use performance. To effectively manage upgrading aging infrastructure, the industry needs longer lasting and cost effective maintenance treatments. Road Science emulsion additives extend life and improve the durability of maintenance treatments by providing better emulsion adhesion to aggregates and protecting the treatment through time from moisture damage. Other emulsion additives are formulated to quicken the rate of strength development and curing in chip seal and micro-surfacing treatments. 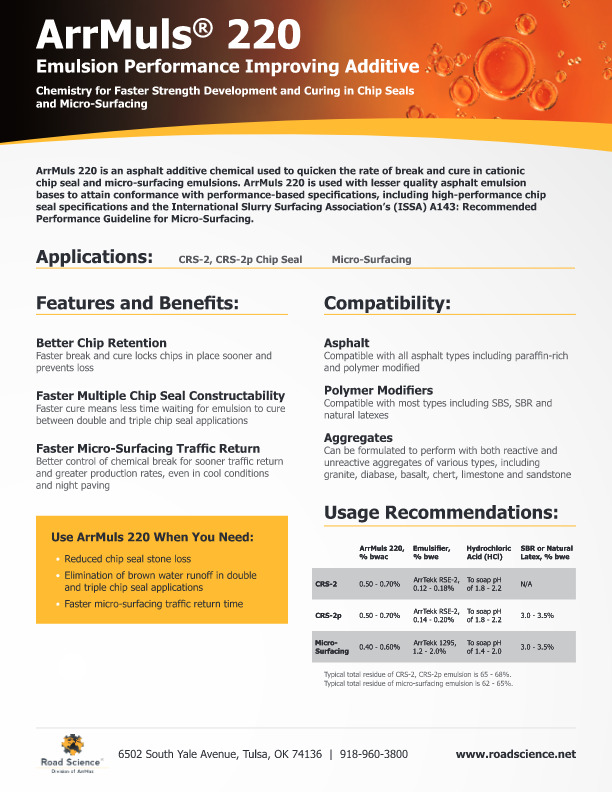 In addition to returning traffic sooner to the roadway, these emulsion additives allow for greater durability and longer lasting treatments. 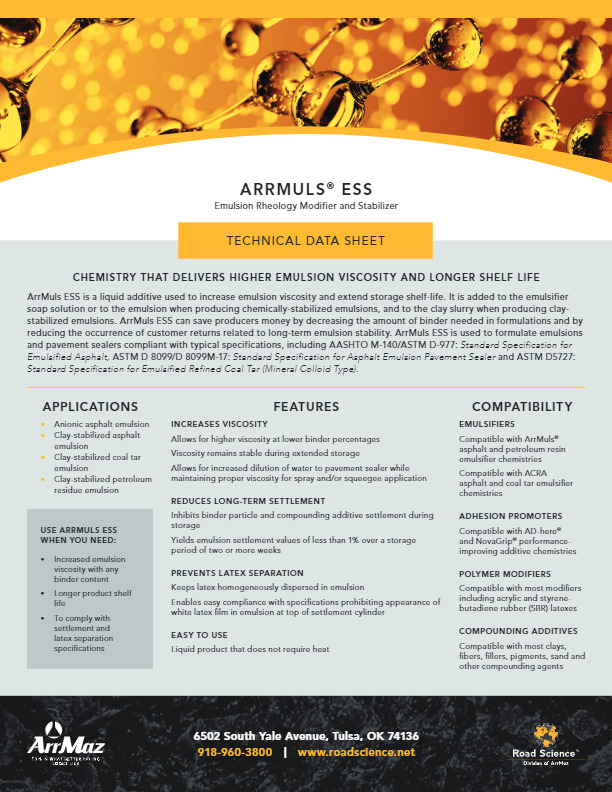 For example, the use of the ArrMuls 220 additive in chip seal emulsions has been demonstrated to significantly improve chip retention by reducing Sweep Test chip loss. Emulsion Additives are also used to improve emulsion stability and quality through time. 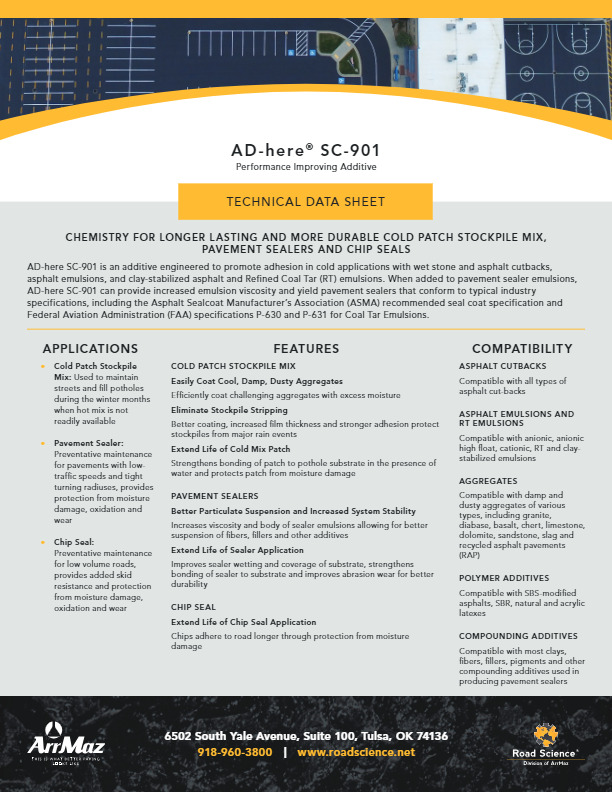 Extending shelf life allows manufacturers to have products that can be stored worry free for longer without emulsion quality degradation, whether in a tanker on a project site for weeks, or in a pail on a retailer’s store shelf for months. 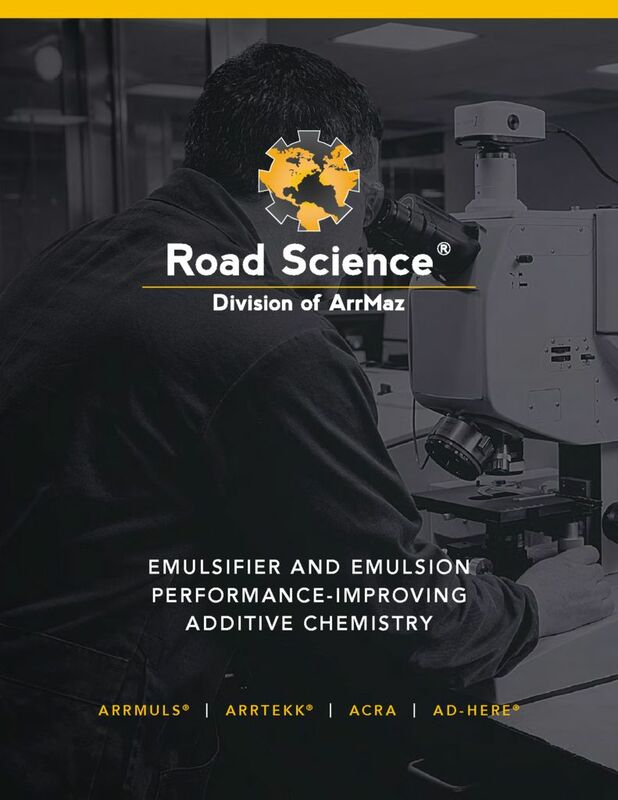 Road Science offers emulsion additives that substantially reduce asphalt particle settlement in emulsion through time.